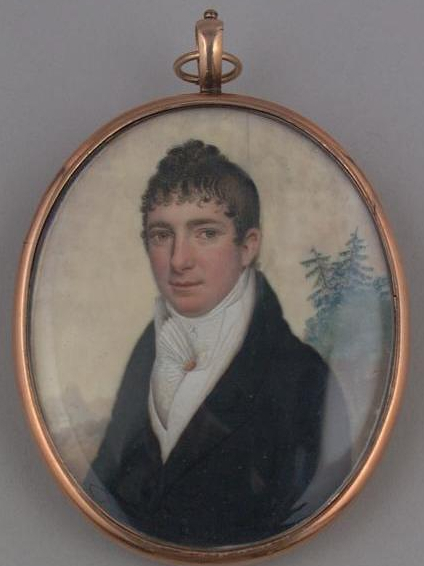 Simon Fraser (29 May 1780-1840) was born in Kilmorack, the son of Rev John Fraser and Margaret Nicholson. He arrived in St Vincent in late 1797, where he went first to meet with one of the Frasers of Belladrum [Highland Council Archive, Fraser of Boblainy papers, D238/D/1/17/5, letter of Thomas Fraser to Simon Fraser, Inverness, 3 Nov 1797]. In 1806 he married Maria Barclay [1782-1862] in Harlem, New York. Maria was the daughter of Thomas Barclay, British Consul General in New York. She 'for many years lived on the Berbice River in British Guiana and had several children' [Genealogical Notes Collected by George Lockhart Rives]. Fraser and Bennett also bought more than 120 slaves from plantation Wellington Park, owned by his namesake, Simon Fraser of Belladrum. Bennett acted on behalf of Fraser of Belladrum and made the slave return for Wellington Park in 1822. These purchases gave Bennet & Fraser a total of 254 slaves on Reliance in 1822. In 1826 two of Fraser’s daughters were married at plantation Palmyra - Susan to Wolfert Katz and Margaret to Charles Mackenzie Matheson. [The Edinburgh Magazine]. Susan's marriage soon broke down in acrimony, Wolfert Katz unsuccessfully suing for divorce on the grounds of adultery and then placing an advertisement in the Times to deny responsibility for her debts in 1829. At emancipation in 1834, Fraser claimed compensation of over £12,000 for 237 slaves on Plantation Reliance but there were many counter claims, including for the unpaid balance of the purchase price. In the 1830s, Fraser was an active supporter of the London Missionary Society's mission in Berbice.